Watch this video to see our innovative child carrier in action! The multi-award winning Piggyback Rider® standing child carrier is a compact, lightweight backpack for toddlers older than two years and up to 50lbs. 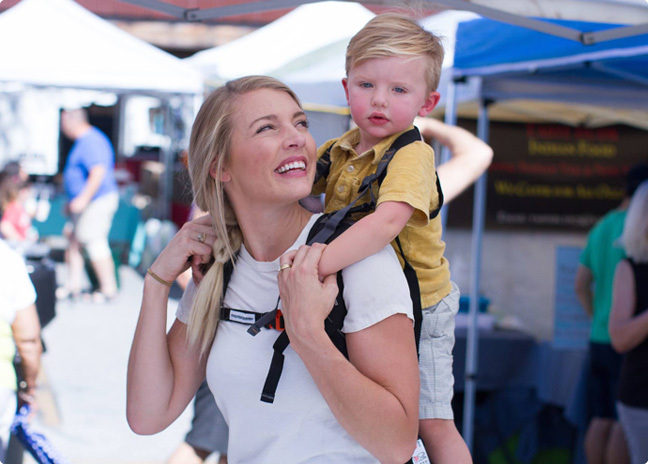 Our unique toddler carrier design creates a mutually enjoyable, effortless way to carry a child on your back and is a great replacement for bulky backpack carriers and strollers. Simply have your child stand firmly on the shoulder-strap mounted bar and strap them in with the piggyback harness for security. We include grab handles and safety tether for security. Your children will love the height advantage! The sturdy, unisex design functions like a standard backpack, distributing the child’s weight at your core enabling a natural upright posture. 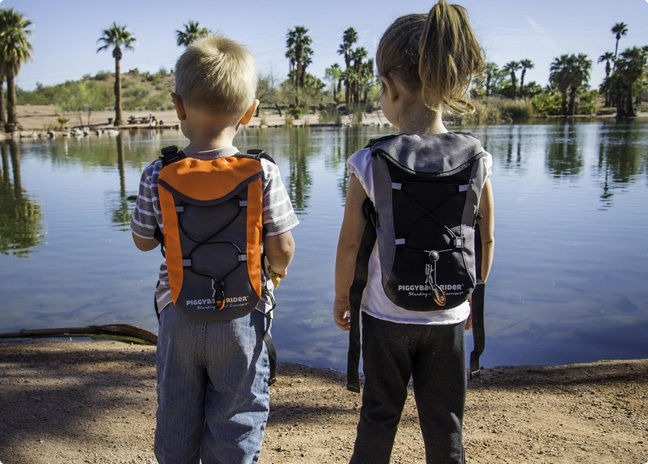 Dad invented and mom approved, parents and kids are engaged in active transport with the Piggyback Rider® backpack carrier. Our durable, built-to-last standing child carriers will be the last piece of kid gear you need to buy. Shop today! SELFIE STICK HOLDER - Assisting in making selfie memories! SIDE POCKET - For snacks, keys, cell phone & more!